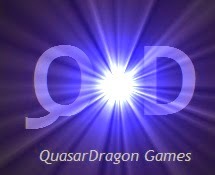 QuasarDragon: Ghosts of Chaacmol - Fiction from 1919. Ghosts of Chaacmol - Fiction from 1919. A ghost story of sorts that has a rather unusual location far from the haunted European castles that filled the Gothic novels of its era. Despite a less than satisfying ending, it is an entertaining little story that would have fit in well with the classic era Weird Tales. CHAACMOL walks; my father saw him," the Indian lad whispered. Words could not persuade Juan to take a step farther into the jungle of undergrowth that served as a path to Chichen-Itza. I took another real from my pocket to show him my utter disregard for Mayan ghost kings. But it had no effect on the credulous Yucatecos. He turned on his heel and ran back to the hacienda. The natives of Yucatan had woven a legend about the ruins of Chichen, once the seat of the mighty Chaacmol. Chaacmol, the Tiger King of Itza. His teocallis reeked with the blood of untold victims. Every chamber in the great palace on the Gnomon mound had witnessed scenes of bloodshed that were deigned to please the frightful Kuk-ul-can, the feathered serpent sun god of Mayapan. To the spirit lair of this fiend of a thousand years ago I was again journeying. The narrow, snakelike trail, overgrown with tangled underbrush, had once served the warriors of Chaacmol in their stealthy advance upon the unsuspecting city of the peaceful Cocom. That night the last of the Itzacs was slain with his three thousand warriors and Chichen became the capital of Chaacmol. The plain before me was dotted with a hundred katunes, the stone books of Mayan history, their hieroglyphic carvings as yet an unsolved mystery of a forgotten race. Beyond them rose the pyramids crowned by temple and palace, dungeon, and nunnery, an almost formless mass of crumbling stone. As I had trudged the mile of footpath I noticed the air growing more sultry every moment. I glanced behind me. The east was wrapped in an ominous cloud bank that rolled up from the distant gulf. It seemed to be racing with me in an endeavor to pile itself against the mounds like a barrier, impenetrable. I reached the foot of the Gnomon mound just as the first heavy drops of rain fell pattering on the stones. The steps leading to the palace structure were broken, but formed a safe ascent. Before I knew it I ran bluntly against a low wall, encompassing the ceremonial court of the temple. A sheer precipice with nothing but the thin air below marked the three remaining sides of the pyramid on which rose the palace itself. Creeping under the low arch of a ruined portal, I found myself in a dark and gloomy chamber. Its stone walls were covered with spectral carvings. Out of the darkness of the farther corner arose a ghastly form, clothed from head to foot in a flowing white robe. I shuddered. The words of Juan's warning came back to me. It approached the lighted doorway in a quick step, and I saw that it was anything but a ghost. "Sehr angenehm," the man, swathed in an artist's smock, addressed me in German. "Professor Weber, Hamm, Westphalia," he declaimed, bowing gracefully and shoving a card under my nose. "I am an artist," he added needlessly, before I could even acknowledge the introduction. "A rather singular meeting," I said. "Pardon me, but I have no card with me. I am Wallace Phelps, hatter, Paterson, New Jersey." I copied his procedure as dexterously as possible. "I was painting the sunset over those ruins," he said, when I recovered sufficiently from my surprise to give him audience, "and was driven here for shelter from the storm." I recognized in Professor Weber the little, round-faced German tourist who was so effusively welcomed by the Mexican port officials when he landed at Progreso a fortnight before. In the Casa Blanca I had overheard his remarks regarding the credulous natives, and he repeated the same discourse to me. In this priggish analysis of the Yucatecan character he indulged during the long hours of the evening. The rain poured in torrents. We were thrown together for the night, for there was no leaving the ruins before daybreak. The storm had completely enveloped the plain below. It was dark, "black as hate in the heart," as Tutul, the bard of the legend of Canek, sang in the ancient Mayan epic. Lurid lightning flashes set the ruins of the surrounding structures in rugged vignette against the storm-filled sky. In the ceremonial court the darkness seemed palpable. My small flash lamp seemed only to accentuate the gloom. Nature alone kept up an intermittent illumination. We were forced to wax congenial. I took out a cigar, and, handing another to the professor, lighted them, holding the flaming match for a moment to a massive stone that lay at my feet. It was a part of the large column that formed an arch in the palace. Sculptured upon it the head of a tiger, with wide-open jaws and bulbous eyes, was plainly discernible. We were in the sanctuary of the Tiger King. I turned my flash light on the column. The gaping jaws of the beast, with its hollow eyes, shone weird. "This is the private chapel of Chaacmol," I said in an almost guttural tone. My voice sounded peculiarly deep, and almost frightened me. "Here the Tiger King held his private devotions," I said mockingly, and swept the chamber with my light, "and there" —I focused the beams upon a. huge sculptured block "is the sacrificial stone." I thought I heard the professor shudder as I slowly articulated each word. I stepped over to the block. On it was carved the symbolic figure of Kuk-ul-can, the feathered serpent, the image of the Mayan sun god. "We tread historic ground, Herr Professor," I continued as though I had made an important discovery, "for this is the very chamber in which Chaacmol sacrificed Cheles." "Who was Cheles?" Professor Weber asked. Cheles was Chaacmol's only child. History relates that he ordered the sacrifice of his own daughter because she professed her love for Holcanes, the son of Cocom, whose throne the Tiger King had usurped. "Cheles," I repeated, "Cheles—little bluebird." A flash and a furious detonation cut short my words. "Chaacmol," I continued as the thunder died away, "is America's counterpart of the Roman emperor, Tiberius. The fiends of the Old and of the New World are they—Tiberius and Chaacol." "I have been in the villa of Tiberius, at Capri," the professor said weakly, as if reminiscent of the horrors that the dungeons above the Blue Grotto had sealed within themselves. "I wonder if Cheles was happy in her fateful love for Holcanes," I asked as if speaking to myself, "but who knows what countless tears she wept in her curtained chamber, Cheles, the bluebird of Mayapan. Here the lovers embraced for the last time, here in the sanctuary of Kuk-ul-can they met for the mutual sacrifice. Before her eyes Holcanes was stretched upon the block and the pulsing heart torn from his breast, each throb a new protestation of his undying love. And then the same fate befell her, magnified a thousand times because she had violated the vow of the Mayan vestal. "I thought you were a hat manufacturer," the professor cut in sharply. I was taken in surprise. "I am," I began explaining, "but as I study the ever-changing history of headdress, both ancient and modern, I naturally become familiar with the milieu in which the various designs were worn. The Mayan kings and nobles, for instance, wore the quetzal, the plumed headgear that was later adopted by the Aztecs." The explanation seemed, to satisfy Professor Weber, Hamm, Westphalia. "We are in a chamber of horrors, the like of which no dungeon in the castles of Europe can equal," I continued, seeing that the German was growing steadily more nervous. "The natives say that on still nights the plaintive farewell song of the maiden can be heard, ending in a cry, her spirit asking judgment upon her inhuman father." The storm grew apace wildly with my story of the unhappy princess. For a brief space it died down, and only the sighing of the norther through the corridors of Chaacmol's palace kept one mindful of the tempest. Dawn, it seemed, was an eternity away. I stepped boldly on the sacrificial block and peered through the high slit in the wall above, down the steep side of the castle into the pool at its western base. "Come here, professor," I said. "Through this very window the bleeding bodies of the lovers were thrown. There, in the sacred well, they were united—in death." The professor did not stir. A flash of lightning illumined the dank water in the pool a hundred feet below. "Could this old limestone pit be given a tongue and made to tell what it has seen, what world romance could equal it," I said. "Did you hear me, Herr Professor?" "Directly above us is the great open- air altar, where on a single morning two thousand Itzaen captives were sacrificed to Kuk-ul-can, or rather to the blood lust of Chaacmol," I continued. I could see the glowing tip of the professor's cigar burning faintly against the blackness of the storm-clad night. I bent another piercing gaze over the ponderous jutting wall into the clammy darkness of the pit. The coloring of my mood suddenly changed. The thunder reverberated through the crumbling walls. A crash in the adjoining chamber startled me. I calmed myself, thinking that a block of the ancient masonry had dropped from one of the arches. "What a wiId scramble must have taken place that morning," I said with a shudder, "for the hearts of the victims!" Professor Weber's affirmations grew even fainter than before. "Out in the ceremonial court the Tiger King's warriors gathered for their feast," I added, "drunken, mumbling men singing their great war song, `Conex! Conex! Paleche!'" The words seemed to be caught up like an echo from a distant corridor. No answer came from the professor. For a moment the ruins swam in a sea of dazzling blue. Beside me I saw a ghastly face. "Countless are the nights during which Chaacmol hurried through these very halls, restless ever, from chamber to chamber, finding no peace from the torturing agonies. The legend says that he locks himself in his sanctuary as though to shut out the past, and calls the name of Cheles as if its very sound might soothe his conscience. Do you hear me, Herr Professor?" I heard his cigar sizzle on the damp ground. "I am not feeling quite—well it is so—sultry-," he muttered, his voice sounding hollow. A faint shriek from the professor snatched me out of my wanton reveries. I glanced about me. For a moment my breath left me. I, too, was bewildered at the sight. Through the ruined ceremonial court, not twenty paces off, passed a shrouded figure. I almost lost my poise. "I see nothing," I said quietly. "It is your overheated fancy. Calm yourself. My conversation has made you very nervous." My imagination, I thought, had run rampant with me. "You see nothing?" the professor groaned. "There, 'between—the rocks— the ghost—Ctmacmol!" "I see nothing, Herr Professor, I assure you," I whispered, my throat parched. A blinding flash and crash that shook the ground, sending tottering stones to the depths below, accompanied the ghost cry. A tree on the jutting ledge of the court was in flames. The apparition laughed, hideously, wildly. Then it seemed to wait in hushed anxiety. I observed it in the weird illumination--a ghastly, wan face, shaggy brows overhanging a pair of glassy eyes, vacant and insane, prematurely blanched hair, bony hands outstretched in grim supplication to the elements —a true picture of the maniac Chaacmol. I wondered whether Boecklin could have done it justice. Professor Weber could certainly not, for, I am sure, he never saw it. "Conex! Conex! Paleche! Come on, Come on, ye warriors!" the apparition sang the refrain of the ancient Mayan war song. The professor sank against the wall. The specter suddenly seemed to have sensed our presence. Hesitatingly it came nearer. "Are you here again, Cocom, Holcanes ? Lift up your voices and rattle the death song Canek wrote for you," the apparition moaned, peering through the arched door of our chamber. Before I was even aware that the words were uttered in Spanish the fiend was up, and, humming a merry tune, danced blithely away to the end of the clifflike wall. "God, if it should fall!" Fear overtook me, not the fear of but for the ghost. To grapple with this spirit fiend on the edge of the chasm meant certain death for both of us. I thought of my automatic. I drew it from my pocket and aimed. But whoever or whatever the apparition might be, it was doing me no harm. Lower and lower the specter leaned over the ledge. Long it stared into the depths. The time passed like a silent meditation, a gruesome pondering over some unexpiated crime through an eternity of forlorn hope. "Cheles! Cheles!" The reverberance of the plaintive whisper trembled fearfully on the calm. Only the distant, rumbling thunder, like a far-off antiphonal of penitents, brought me to the realization of the tragedy for which a forgotten race had set the stage and furnished the characters, such as no modern Belasco could. Slowly the specter raised itself and glided along the edge of the abyss. Again it stood still and bent over the brink, peering into the inky waters of the pool as though the victims which they had engulfed were not quite dead and their piteous cries, sirenlike, lured the phantom down. The apparition swayed, and for the briefest second it floated on the thin air, then suddenly plunged headlong down into the sacred pool. I rushed out of the chamber, and, leaping over the ruined wall that separated us from the ceremonial court, reached the spot where the ghost had disappeared. The waters of the pool were now invisible from above; dark and shadowy, they lay concealed amid the heavy undergrowth that surrounded them. The storm had subsided. Occasionally a belated heavy raindrop pattered on the flags of the court. The glowing embers of the storm-rift tree made the dark dawn more hideous. I returned to the professor, who lay as if dead, his head resting on the sacrificial stone. I felt his heart, as though I feared he, too, might have fallen a victim to Chaacmol. His pulse ran heavy. He had fainted, and had not witnessed the closing scenes of the tragedy. I alone had seen the climax. I put my brandy flask to his lips. His eyes rolled, like those of a madman, as hysterical as those of the frenzied Yucatecos he had described in Jose's tavern. Heavily he leaned on my arm as I walked with him out of the dank chamber into the open air of the courtyard. The witchery of the storm-passed night spread about us. For a long time the professor said nothing. He seemed gasping for his senses. I asked him to accompany me to the roof of the palace to view the sunrise over Chichen-Itia. "It will efface all memories of the storm." I sought to lure him on. "The storm—that was nothing—the other," he said vaguely. Alone I went to the palace roof, just as the first rays of the sun reddened the distant horizon. The stillness of the morning was profound. Suddenly the great round sun came flamingly through a rift in the cloud banks splendidly, and instantly the whole world hummed and sang. I understood why these ancient peoples were worshipers of the sun. Nature herself taught primal man to revere the light as a god. After the hideousness of the night of storm and terror I, too, was thankful for the light. As the mist cleared from the vale and the smaller structures of Chichen became visible, each raised on its squatty pyramid, overgrown by the verdure of the tropics, I saw, not the snakelike columns of Chaacmol's warriors slinking through the night, but the glorious procession of priests coming up the Sacred Way to the temple atop which I stood like a high priest awaiting the victims of the morning's sacrifice. The weird music of the flute and droning boom of the trunkul I seemed to hear, instead of the clear bird notes that enveloped all. The memories which stole over me were intoxicating like Balche, the drugged ambrosia of Chaacmol's fiendish concoction. I had visited these ruins before, but never had a sunrise over the phantom city of the Tiger King impressed me so. I returned to the ceremonial court, where the professor sat, his head buried in his hands. He had no heart for painting that day, and wanted to return to Merida immediately. I sought to dissuade him from making the return trip in the heat of the day, but was of no avail. I warned him that his condition would not permit it. Nevertheless we made the attempt. The journey was made in silence. Not once did he mention the happenings of the night. As we neared Merida he seemed to revive. "Did you really see nothing?” he asked incoherently. "Absolutely nothing," I answered, for I knew that an acknowledgment on my part would necessitate explanations which I would rather not make. "I firmly believe that you saw Chaacmol., Herr Professor," I said finally. "You will pardon me if I say that I at first mistook it all to be an illusion, created by your overwrought artist's fancy. But I remember now, you said you are a Westphalian. That accounts for it all. You suffer with the psychic affliction known to science as 'second sight,' a dire misfortune for a man of your calling. It may ruin your whole career." He seemed flattered when I spoke of his career. "Do you think so?" he asked. "Without a doubt," I answered solemnly. "My friend, Doctor Philhower, director of the sanitarium at Merida, has made a study of this rare and occult phenomenon of the mind. I believe—I know he can help you. I would take you to him in person, only I leave Merida early tomorrow." "Where are you going, Mr. Phelps?" he asked. "I shall go to Panama to purchase a stock of hats," I said. We reached his hotel, the Casa Grande. Juan drove me to the American Club, and I gave him a real for his faithfulness. There I met Doctor Philhower, a classmate of mine at Harvard. Over our dinner I related my experience at Chichen-Itza. I told him that I had vised the professor ta consult him. "Have you seen today's paper?" he asked, pointing to a story under big headlines, telling of the mysterious disappearance of Don Salo, a wealthy henequen planter, who had been confined in Philhower's hospital. The alienist related the story of Don Salo. It was a sordid tale, the past of a misled life, drained of love, a congeries of waggish follies. "And then?" I hung upon my friend's every word. "Then came the murder. Don Salo was a raving maniac." "Where was the crime enacted?" I asked. "At the hacienda near Chichen-Itza, almost within a stone's throw of Chaacmol's palace. The tragedy in his own family became closely associated—yes, completely identified with the legend of the Tiger King. After the tragic death of Celeste, his only daughter, a beautiful girl, who fell a victim to her loyer's jealousy, Don Salo became Chaacmol." In the open window a spray of honeysuckle swung to and fro like a spicy censer, filling the room with an exotic fragrance. "Don Salo," he continued in a climactic monotone, like one closing a sad book, "was Chaacmol, and all that took place during those bloody carousals a thousand years ago, during those nights of terror and days of endless sacrifice, unparalleled in history, were the acts of his vengeance. Again and again Don Salo escaped us and revisited the scene of the crime. Wandering amid the ruins of Chichen-Itza, moaning and gesticulating, he set the credulous countryside in a frenzy. The peasants have seen his ghastly figure just as you saw it for the last time." As petals close around a lovely flower. Let us retire unto a lonely tower. Slays like a monster with despotic power. We'll watch the myriad flaming, golden bars. We'll lose our souls among the distant stars. Both the story and poem were previously available online only in a very murky .cbr scan (h/t Variety Sf) of The Thrill Book 1 October 1919. Both were published in the United States before 1923 and is therefore in the public domain.